After identifying a number of places to view Prague at night, Dresden is equally worthy to photograph after sundown. With its nickname “Florence on the Elbe” (Elbflorenz, Florenz an der Elbe) leading the way, I highlight these four places to photograph the city at night. All four locations are central, (mostly) within Dresden’s Altstadt, and accessible on foot, although you can also easily take the public transport (tram) to one of the following stops: Pirnaischer Platz, Altmarkt, Postplatz, Theaterplatz, or Neustädter Markt. All four locations are identified in the map below. With the EuroCity (EC) train running every two hours in daytime, Dresden can be reached non-stop from Berlin in about 2 hours 20 minutes and from Prague in about 2 hours 15 minutes. Click on the arrow-window icon at the upper-left corner of the map below for the legend. I made the photos above on 21 December 2012 and 22 April 2015. Thanks to Germany Tourism, Saxony Tourism, and Dresden Marketing for their support and hospitality. This post appears on Fotoeins Fotopress at fotoeins.com as http://wp.me/p1BIdT-72c. Beautiful images there, thank you for sharing. I guess Dresden will be one of my next destinations on a trip to Germany. Hi, Cornelia. I recommend Dresden, especially if you’ll be around Berlin or Prague, or if you’re planning to be in Berlin and Prague. 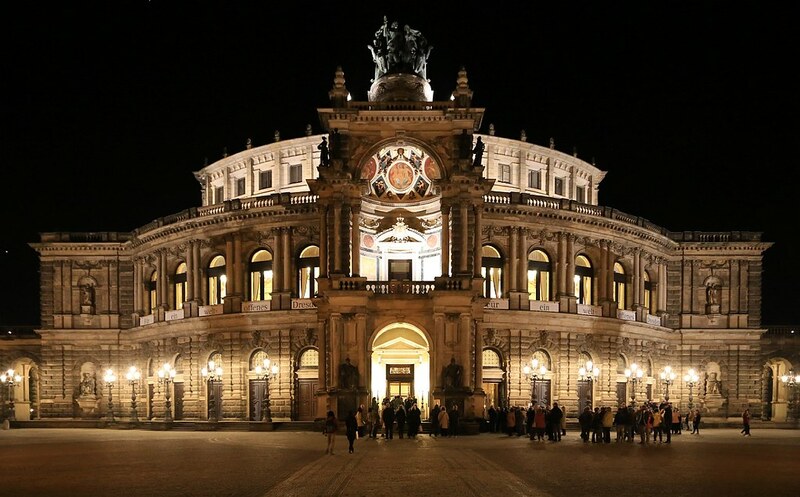 Dresden is about halfway between these two cities, and apart from one recently-built bridge crossing, Dresden is a former UNESCO World Heritage Site, but the city and region have a lot to offer. Thanks again for stopping by, and for your kind compliment! Thank you, I’ve been in Berlin and Prague, maybe some other city to combine with, next year. So many places to see, so little time to truly cover them all like they all and each so deserve. 🙂 With that said, I have to return to Prague at some point. Cornelia, it’d be great if you returned – are you thinking next summer or winter? Yes indeed, too many places to see….. I’ll what the future has to offer. First this summer on my way to Germany, I’ll spend a few days in Stockholm. Have a great travel summer. I miss Stockholm, too! What are your plans for your few days there? All the best to you on your upcoming travels! Hi, Timo. I have been fortunate to have visited twice: one time in early-December and the second time this past April. Although I love the Weihnachtsmarkt, I definitely like being in Germany with warmer longer days and foliage on the trees. Thank you for your kind compliment! Hi, Noel. 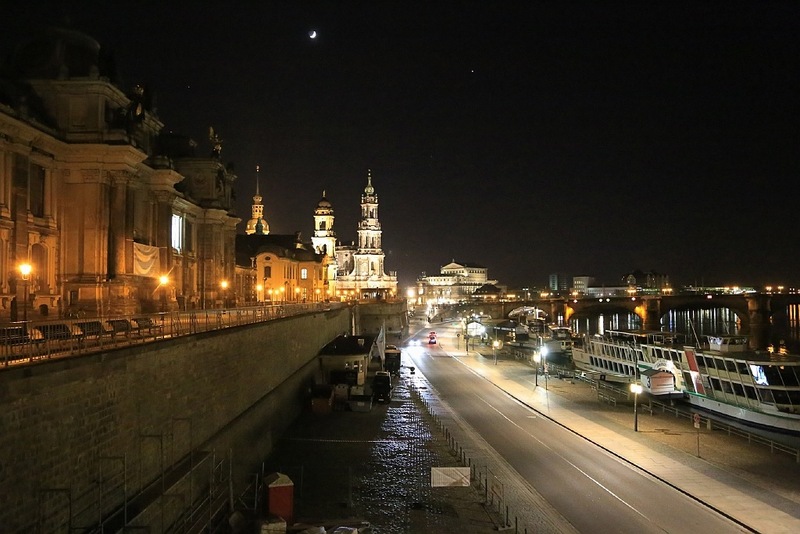 Dresden is a magical place by day or night, in the summer or during Christmas markets. In my opinion, the city did not deserve to lose its UNESCO World Heritage Site status. Thanks for stopping by and for your kind compliments! 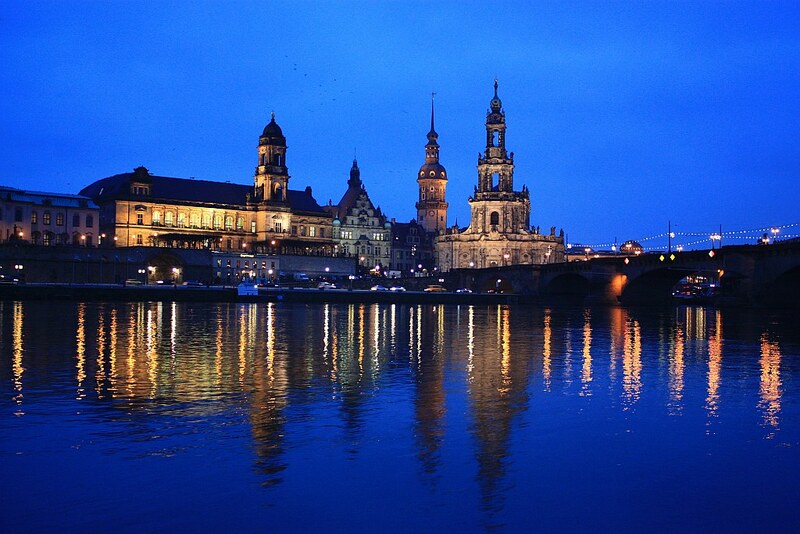 Dresden is a stunning destination for a photographer. Thanks for sharing the night-time perspective! Hi and thanks, Anita. Like many German/European cities, there are no shortage of sites or places as destinations to photograph, by day or at night. Thank you for reading! 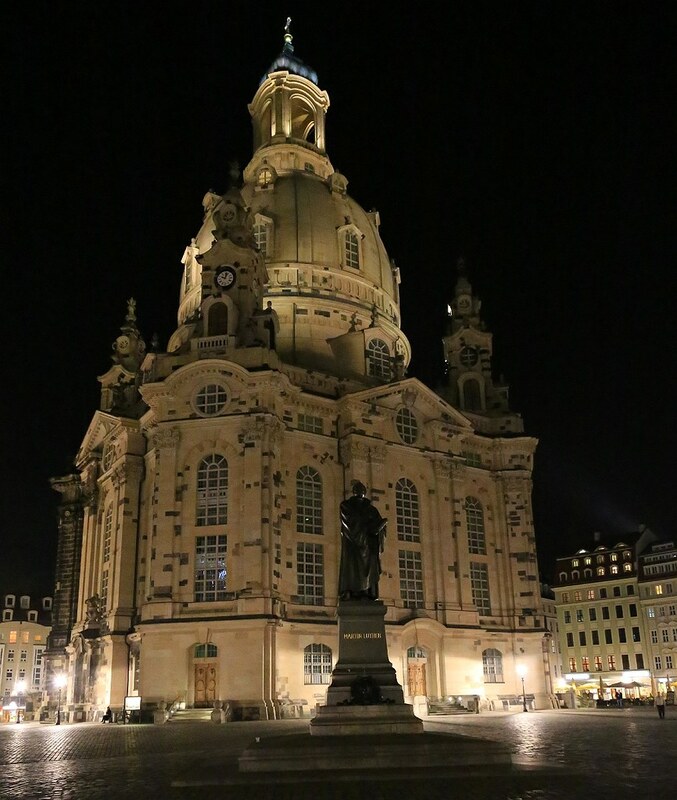 Thanks for sharing your beautiful night shots of Dresden. I know very little about the area, but it looks like a great place to visit in Germany. Hi and thank you, Shelley. I highly recommend Dresden at any time of the year. Have you visited Germany before? If yes, what places have you visited? Super shots! I throughly enjoyed my visit to Dresden, and surrounding areas. These pix certainly do it justice. Well done! Hi and thanks, Ursula! What other places around Dresden did you visit? What was the most memorable for you? The last time I was in Prague, I hoped to have enough time to make a trip to Dresden, but couldn’t make it happen. Your photos make it look like a very enticing place to visit. Gorgeous, Henry! Hi, Cathy. There’s so much to do, isn’t there? And 2.5 hours by train from Prague doesn’t sound like much either. I definitely recommend Dresden! Thanks again for your kind compliments! This is embarrassing but when I was putting together an itinerary with German Tourism I said I wanted to go to Dusseldorf. So I went there and loved it but only later did I realize I’d meant to say Dresden! It looks lovely. I envy your ability to get good night pictures – mine are always dreadful. Hi, Kay. A surprise, but a pleasant one, I would imagine, to discover Düsseldorf on the Rhein. I’m happy to provide additional motivation for your future visit to Dresden. Night pictures require one or a combination of the following: a camera whose detector has good to great low-light performance, steady hands, a tripod, experimentation and perseverance. But it’s the last aspect is one with which most have trouble; I’ve gone and played a lot in the dark or in the quiet(er) hours of dawn or dusk. 🙂 Thanks for stopping by and for your kind comment! I’ve long admired your photography skills, and these images are just stunning. We would love to visit Dresden, but I know my skills won’t do these locations justice. Thankful to see yours. Hi and thank you, Betsy; that is very kind of you to say. But I’d like to echo my reply to Kay’s comment: I believe that ” … night pictures require one or a combination of the following: a camera whose detector has good to great low-light performance, steady hands, a tripod, experimentation and perseverance. But it’s the last aspect is one with which most have trouble; I’ve gone and played a lot in the dark or in the quiet(er) hours of dawn or dusk.” What I’m saying is anyone can do night photography too. 🙂 Thanks again!